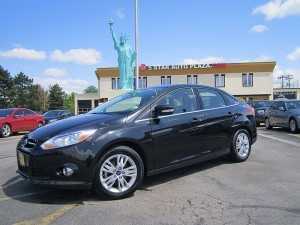 The instant a brand new car drives off the lot of a dealership the value of the car depreciates. The minute all four tires roll off the lot and onto the road, the value of the car drops several thousand dollars and will only continue to drop over the years. For this reason, it is important to find and work with a used auto dealer in O’Fallon to ensure that when it comes to purchasing a car, you are getting the best bang for your buck. Wondering just how much your brand new car will deprecate in value after you have purchased it? Here is a look at the statistics. It is hard to determine exactly how much a car deprecates in value after it has left the lot. A lot of factors, including make and model, condition of the car, and purchasing price, will influence the value of the car. The rapid decrease in value of a brand new car within the first two years is a major reason why many individuals choose to purchase used cars. Used cars depreciate in value over time, but the amount of money that is ‘lost’ is significantly less. 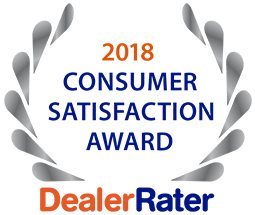 For more information and a wide selection of quality used vehicles in O’Fallon, 5 Star Auto Plaza provides the best vehicles around. If you are looking to purchase a car and an auto dealer in O’Fallon, call 5 Star Auto Plaza today at (636) 940-7600. Text “CARS” to 31256 and enter to win up to $500 AND an Apple iPad!! HungryFEED can't get feed. Don't be mad at HungryFEED. SimplePie reported: A feed could not be found at http://5starautosalesreview.com/feed/. A feed with an invalid mime type may fall victim to this error, or SimplePie was unable to auto-discover it.. Use force_feed() if you are certain this URL is a real feed. At 5 Star Auto Plaza, we believe buyers should have expectations. Copyright ©2019 5 Star Auto Plaza. All Rights Reserved.